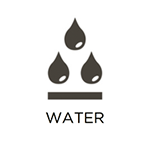 Water damage can be derived from a number of different sources: pipes, water heaters, air conditioning units, rainstorms, flooding, sewer backups, etc. Although it may start in a small area at first, it has the potential to spread quickly, causing power outages and major property damage. This is not to mention the mold growth that may develop within the walls and floors over time. However, RestorationMaster provides emergency water damage restoration in order to not only restore the water damage, but eliminate the spread of the damage. Our technicians hold years of experience in restoring homes and businesses both large and small. We use advanced drying equipment, products, and methods guaranteed to restore your property to its original condition. While not as common as water damage, a property fire can be one of the most lethal types of natural disasters. There are also numerous factors in which can cause fires, including: candles, stove tops, ovens, circuit overloads, dryers, and many more. While this not only puts your home at risk, your family’s safety is also on the line. 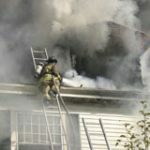 However, the majority of the damage is actually derived from the smoke and soot left behind after the flames have been extinguished. They become embedded within the structural materials and content to cause permanent damage if not treated right away. RestorationMaster is a licensed fire and smoke damage restoration provider that will arrive immediately in an emergency situation. We use specific products for each type of material in order to create complex chemical reactions to remove the smoke and soot damage. It can be frustrating and extremely unpleasant to discover mold on your property. While it is not only an unfriendly sight, it is actually dangerous to handle. 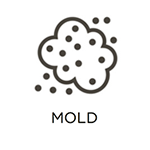 As there are many different types of molds, the majority are dangerous and can unfortunately grow within your home in moist, dark areas. But it is imperative to call for help right away upon discovering this uninvited guest. This will not only prevent negative health effects for you and your loved ones, but eliminate the spread of the damage in the future. RestorationMaster is a certified in providing mold remediation services that will effectively remove mold at its source to prevent it from growing back in the future. We also recommend a mold inspection if you have had water damage recently restored or there is a high moisture level within your property. Our technicians are equipped with advanced technology that specializes in locating mold as well as identifying areas that are at high risk for future growth. While it is most often the building materials that receive the majority of the damage, it is not uncommon for personal belongings to become affected as well. For these cases, RestorationMaster provides effective content restoration services in which we will restore your personal items in addition to your building materials. In addition, we also provide efficient pack out services if the condition of your home or business is not secure. In these situations, RestorationMaster will safely pack out your belongings and transport them to our climate-controlled facility. Here they will be restored and kept in storage until the restoration process on your property is complete. We guarantee quick service in order to save the majority of your belongings from permanent damage. Even if the items are not able to be restored, we will work with you and your insurance provider in the decision-making process to determine the best solution for you. Natural disasters are always stressful to experience. They can result in thousands of dollars of repair work in addition to a massive headache. This is not to mention the effect it will have on your business or family. While these damages can leave your home or building in an unstable condition, RestorationMaster provides emergency reconstruction services to immediately stabilize the condition of your home. In addition, the services also include the reconstruction from damages of all types, including: fire, water, mold, storms, etc. 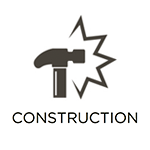 Our team consists of handymen, contractors, plumbers, sub-contractors, and more in order to effectively restore the property. We are available 24/7 at 888-915-8868 to provide emergency services in the Albany, OR area that are guaranteed to put your life back on track again. Call us right away to see what we can do for you during an emergency situation. 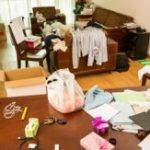 Hoarding is not only creating messy environments within the house, it is a severe disorder in which the affected individual is battling an anxiety of parting with their material objects. 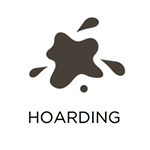 They build a relationship with their personal belongings in which they experience difficulty disposing of them. As the amount of these items continues to accumulate over time, they create an unsafe living condition for the individual. 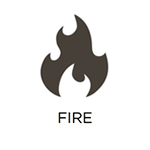 This can lead to fire hazards, slip and trip hazards, and severe property damage. However, the individual will need the help of a loved one to reach out to professional services. If you have a loved one that struggles with hoarding in the Albany, OR area, contact RestorationMaster right away. We take a compassionate approach in the cleanup process, working with the affected individual to efficiently clean the property and restore safe living conditions once again. 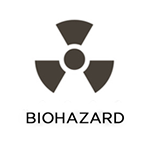 It is always shocking to discover a biohazardous scene, especially if it is that of a loved one. The trauma and pain involved is extremely stressful as the cleanup process can be unbearable. RestorationMaster understands the pain and stress involved with the grieving family. That is why we take a compassionate approach in providing emergency biohazard and trauma cleanup services. We will also work with law enforcement as to not disturb any uncollected evidence. Our advanced products will effectively restore the scene, removing all dangerous byproducts, including blood, tissue, and other bodily fluids. Finally, our team will give you some peace of mind knowing that the death or trauma of a loved one has been professionally cared for while you can focus on family matters. Noticing a foul odor immediately upon entering a building or home can be one of the most deterring first impressions. But not only are these odors unpleasant, they can also be detrimental to your health and that of a guest or loved one. Therefore, as soon as you notice a foul smell on your property, be sure to call RestorationMaster for professional odor and pathogen control services. This is imperative, especially for those living with allergy or respiratory problems. Our technicians will effectively remove all odors and possible pathogens lingering in the air with the use of chlorine dioxide (ClO2). New research has proved that this chemical has allowed for enhanced efficiency when removing odors. Finally, our services are now more effective than ever before in safely removing the dangerous contaminants within your home or building. For all emergency disaster restorations and cleaning services, we are available 24/7 at 888-915-8868 in the Albany, OR 97322 area.